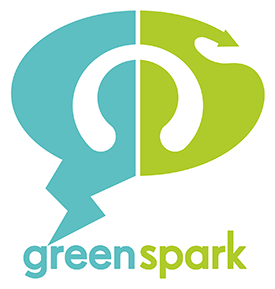 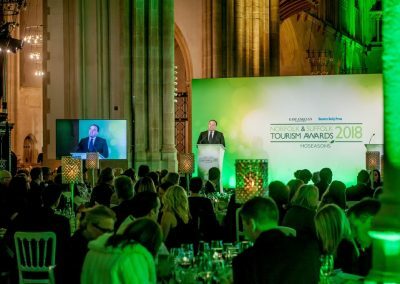 An event to celebrate the organisations which make the counties such an attractive destination for visitors. 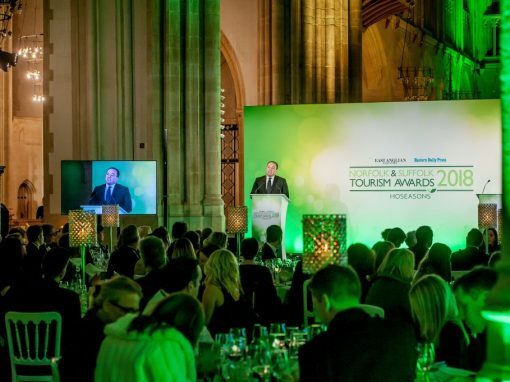 and accommodation for tourism in Norfolk and Suffolk. 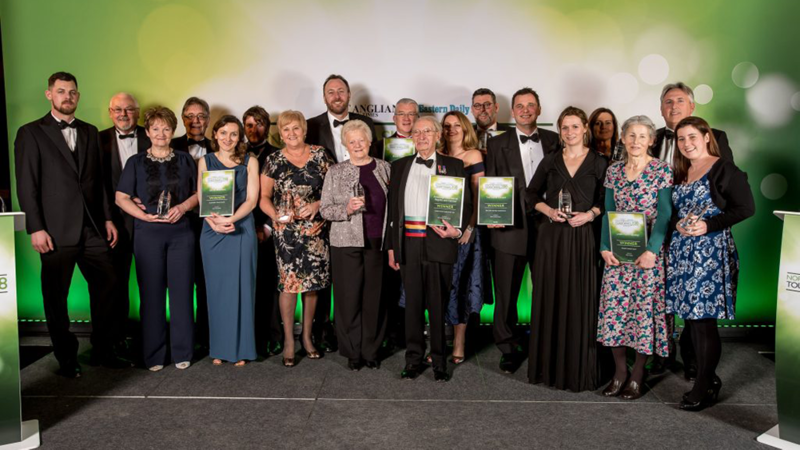 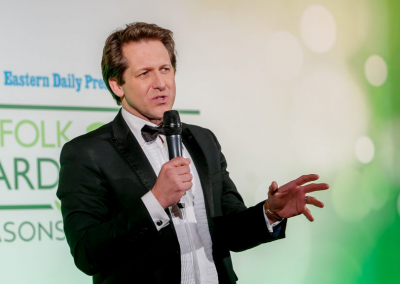 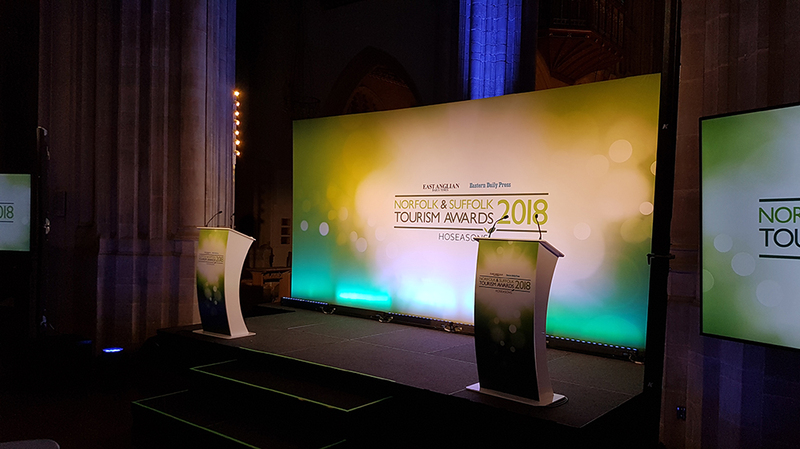 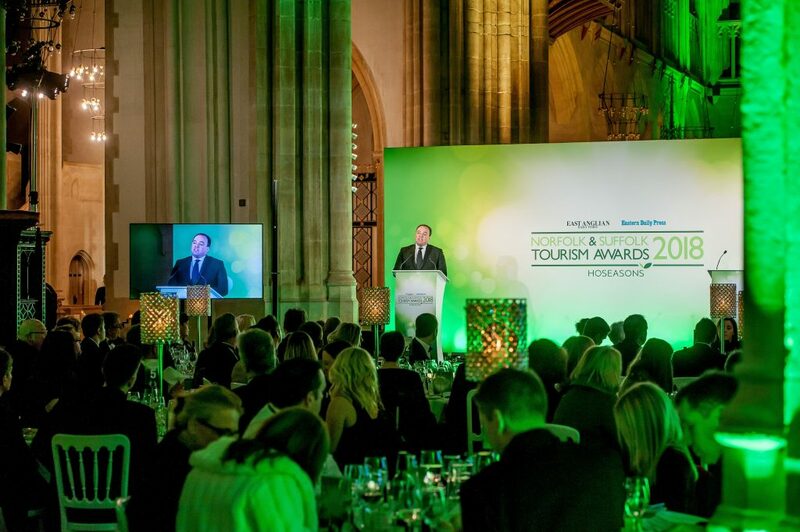 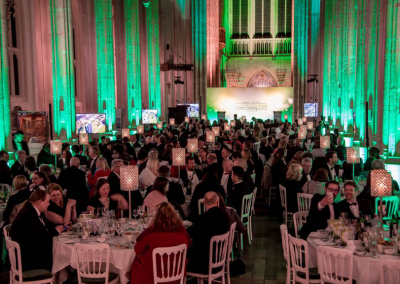 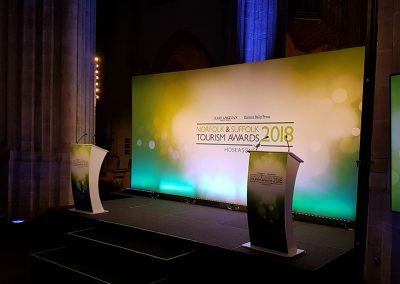 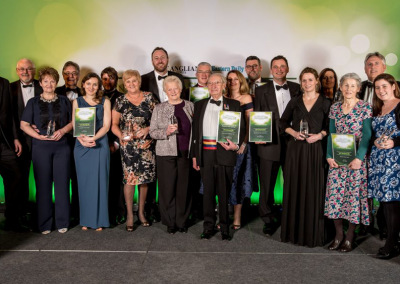 The Suffolk and Norfolk Tourism Awards is an event that celebrates the companies exceeding in providing great attractions, experiences and accommodation for tourism in Norfolk and Suffolk whilst also providing guests with an elegant networking experience, the event was held at Bury St Edmund’s Cathedral; a venue that naturally stuns attendees with its grand architecture and high vaulted ceilings but technically brings a few challenges. 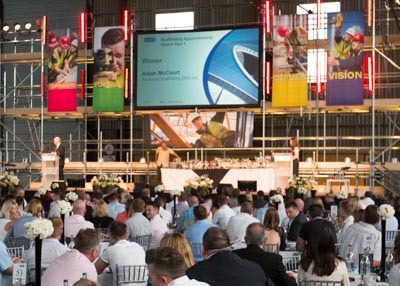 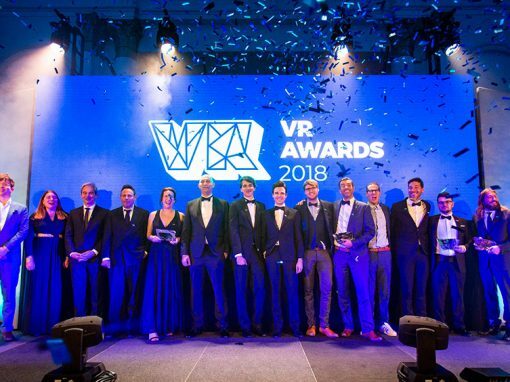 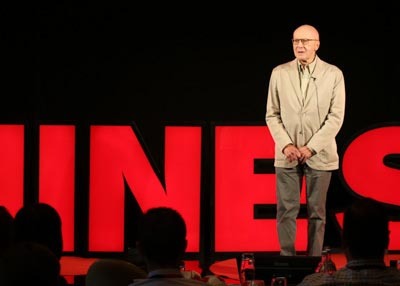 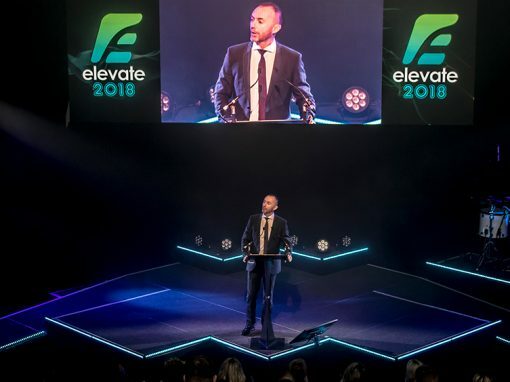 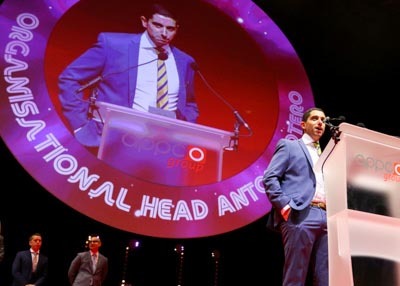 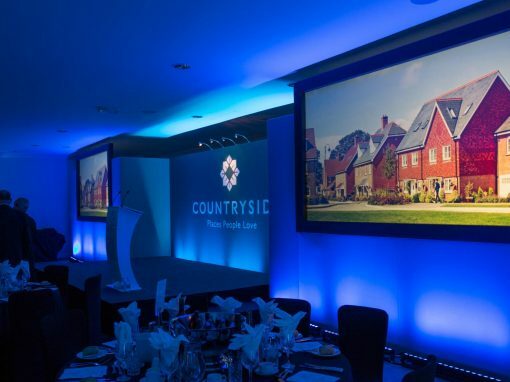 at the back of the space and with no overhead rigging available and a limit to what we could do in a listed building, our solution was to place 8 LED screens at intervals along the venue to show a live camera to screen relay of what was happening onstage. 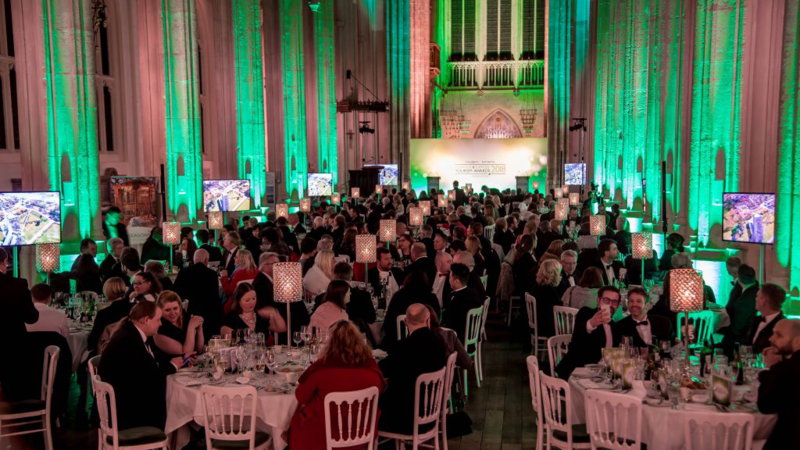 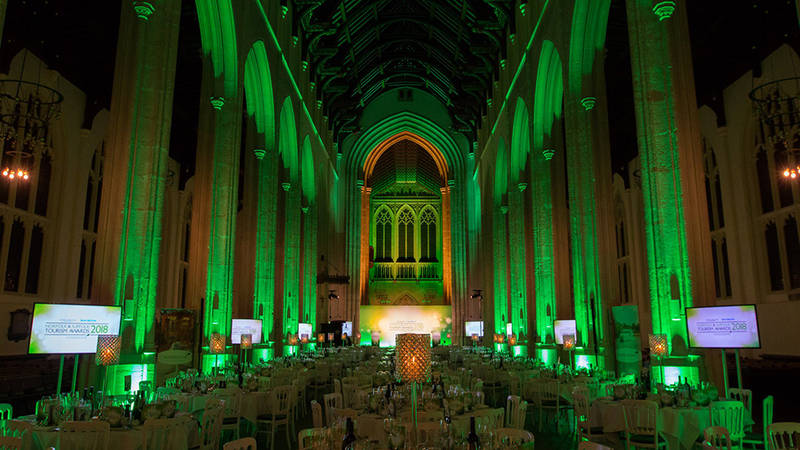 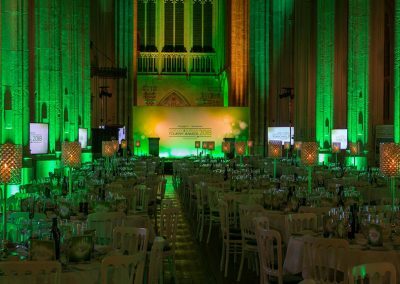 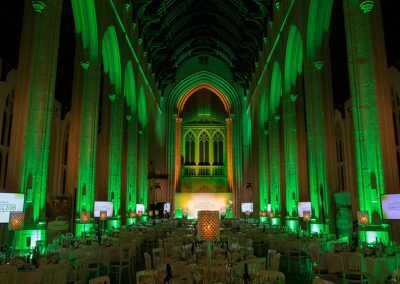 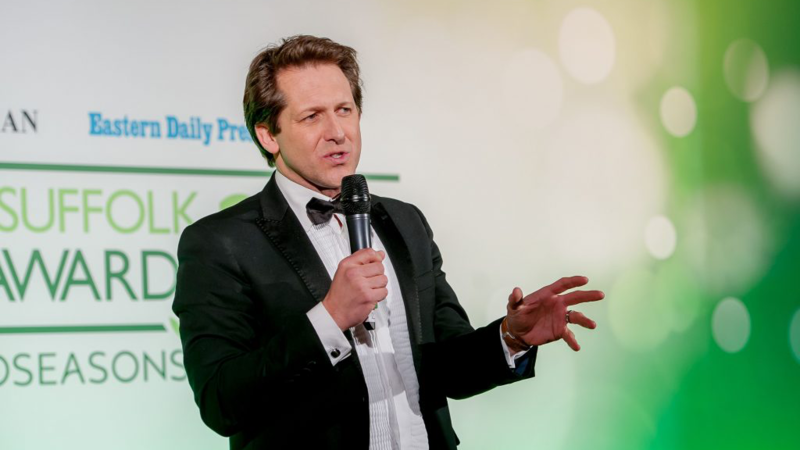 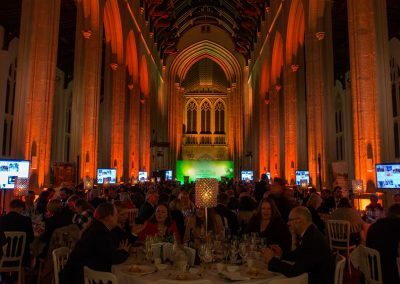 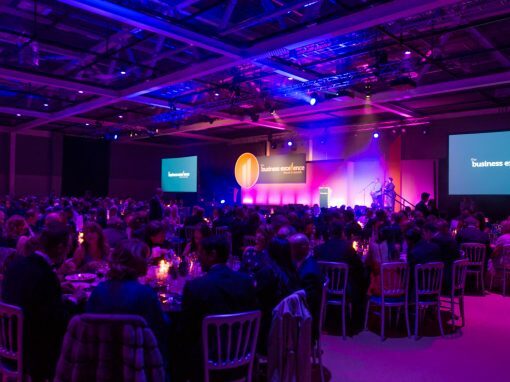 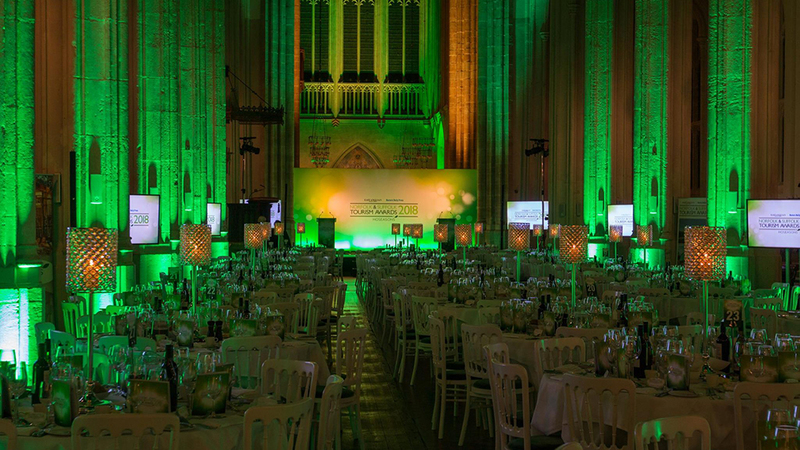 The fun part of this event was uplighting the gothic stone pillars and high vaulted ceilings which transformed a beautiful yet dull grey walled building into a canvas of colour. 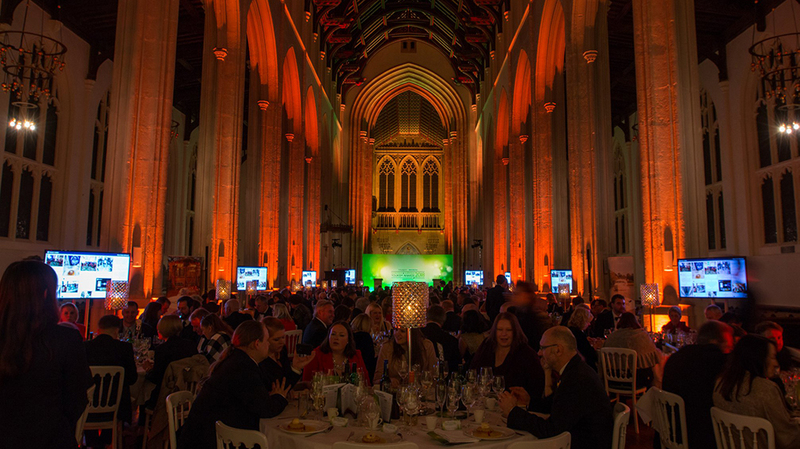 The result, an elegant dining and networking experience for 350 guests in a historic landmark.